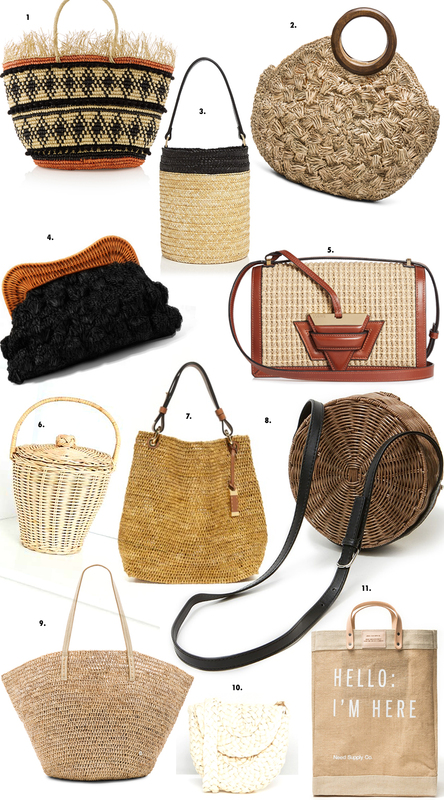 If you update with one new piece for this season, make it a straw bag will you? Nondescript and always in a classic structure (and all look vintage), they pair perfectly with dresses and denim. I found a simple red one in St. Lucia last December (on my Instagram), but there are loads online (including this black update to the Cult Gaia Ark bag).